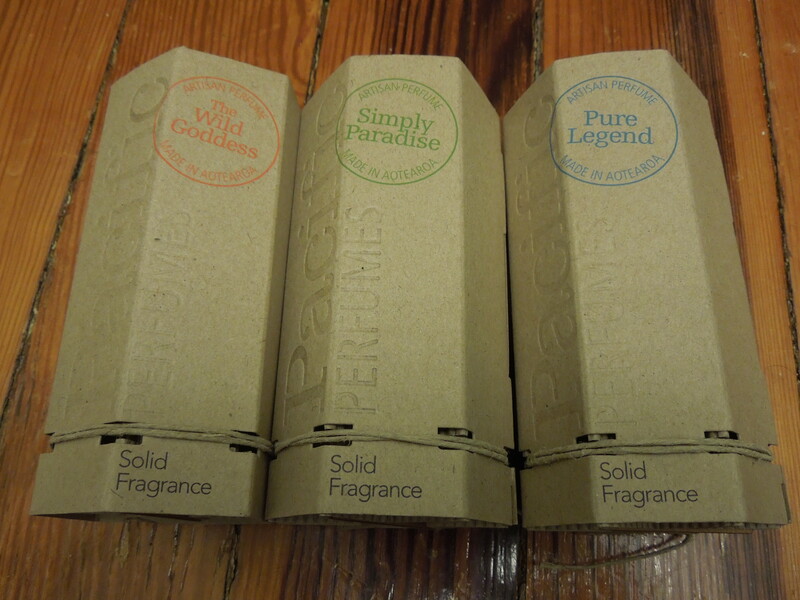 February 2014 Product Review: Pacific Perfumes! So it’s that time again – time for a monthly product review! 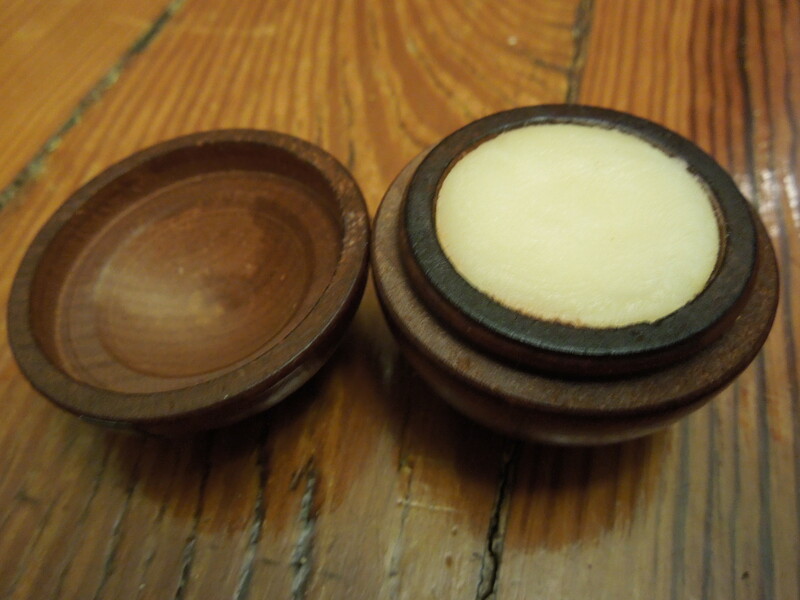 February has brought me a wide variety of solid perfume samples all the way from New Zealand! Pacific Perfumes creates unique solid perfumes “inspired by the startling South Pacific and the essential elements of earth, fire, sea and air.” Their products are 100% Sustainable and 100% natural and contain certified organic ingredients. Their perfumes are “steeped in certified organic golden jojoba oil, then carefully blended with certified organic beeswax to create each of the hand poured fragrances.” For an extra earthy touch they come in adorable wooden containers. Now to start, I’m not a perfume person. I’m super sensitive to scents, and therefore super picky so my perfume collection is somewhat limited. I do however, love solid perfumes and I think they are highly underrated. I have a lemon scented one I got from Anthropologie a ways back and I keep it in my commuter bag. If a chain smoker (or someone else who’s not so fresh sits next to me on the bus), I can just whip it out, dot it on a few strategic points and have a much more pleasantly scented commute. So all of the perfumes had the same packaging and consistency. They go on smoothly and they have a really soft, hydrating feel against the skin. I’m going to go through the scents and give you a description. The Wild Goddess: ($50.00) A subtle, very refined scent. It feels very “uptown girl” to me. Simply Paradise: ($50.00) This one has that herbal + musk scent to it. I find it a little on the strong side. Pure Legend: ($50.00) This one has a bit of patchouli and an earthy vibe. Hula Lei:($28.00): Very floral with a hint of the tropics. Love the Mango: ($28.00) My Pick! This was my favorite of all the scents I tried. It’s fruity and fresh, without being synthetic or overly sweet. A perfect summer scent. Forest of Ferns: ($28.00) This fragrance is a bit sharper , like a not too sweet citrus mixed with a hint of pinetrees. Pacific Goddess: ($28.00) This one has those warm vanilla tones, but it’s not super sweet or synthetic. I think this scent would appeal to a lot of ladies. Island Passion: ($28.00) This one is a bit spicy with warm and musky tones. It almost has a unisex feel to it and I think it would appeal to men as well as women. Frangipani: (28.00) This one is a super light floral. If you like just having a hint of perfume, this one is for you. I loved the consistency of the perfume. I found it hydrating and easy to apply. While I wasn’t in love with all of the scents, I adored the Mango one and would have definitely purchased it at the $28.00 price tag. I find that solid perfumes last a lot longer than regular ones, so that $28 will go a lot further as compared to a typical perfume spray. I also totally dug the organic wooden packaging. 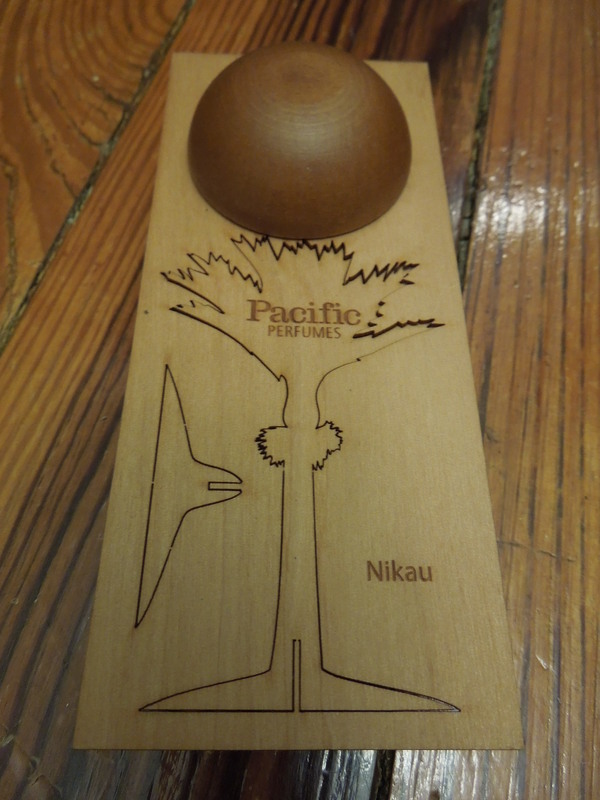 If you’re looking for a unique perfume, and you love organic and sustainable ingredients, you should definitely give Pacific Perfumes a try. Do you have any perfume solids? What do you think of them? I love solid perfumes. They last forever and I find the scents tend to be less synthetic (if that makes sense). Thanks for reading! I will definitely have to give them a try then! I hate that the spray on perfumes seem to fade away so quickly. Thanks for stopping by. A sampler is a great way to go. You get to try a lot of things and pick your favorites. I forgot to mention that the Original Range (Love The Mango, pacific Goddess, Hula Lei, Island Passion) -all have some elements of Man made fragrance along with Essential Oils with the base being 100% natural. The Artisan Range is all totally 100% natural.